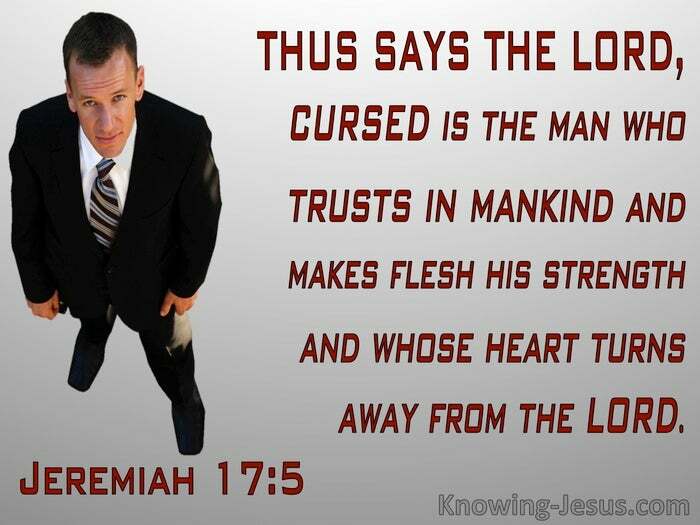 What Does Jeremiah 17:5 Mean? When Adam sinned.. he, and all his progeny were cursed, causing man to become self-dependent instead of remaining God-dependent. Men's hearts were turned away from the Lord and they became obsessed with a man-centered faith, rather than a God-focussed trust. Instead of walking with his Creator in the cool of the evening, and enjoying fellowship with the Lord, Adam hid himself from the face of God, because he was afraid, and ashamed - and his God-focused heart was replaced with a self-centered soul, which relied on his own fleshly abilities, instead of depending on the Lord's almighty provision. But God, in His grace, chose to redeem mankind, through sending a Kinsman-Redeemer. He chose Israel, out of all the nations, to be the people, thorough whom the promised Messiah would be born - and through Him, all the families of the earth would be blessed. So God made a covenant with Israel.. that they would be His people and He would be their God - but the covenant was conditional upon their obedience and faith, and from the very beginning, they turned their hearts away from the Lord. 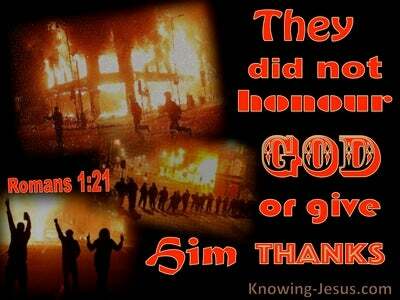 They failed to trust His promises and they refused to obey His word. Israel's idolatry worsened as the centuries passed, and they spurned their gracious God and despised His precious promises. They turned their hearts away from the Lord.. preferring to trust in their own wisdom and strength, while they chased after the false gods of the surrounding nations, and trusted in the hollow alliances of pagan kings - rather than depending on the Lord their God. Jeremiah was one of God's holy prophets who was called to chastise the Israelites and warn them of the serious consequences of their gross idolatry, and continuing unbelief. 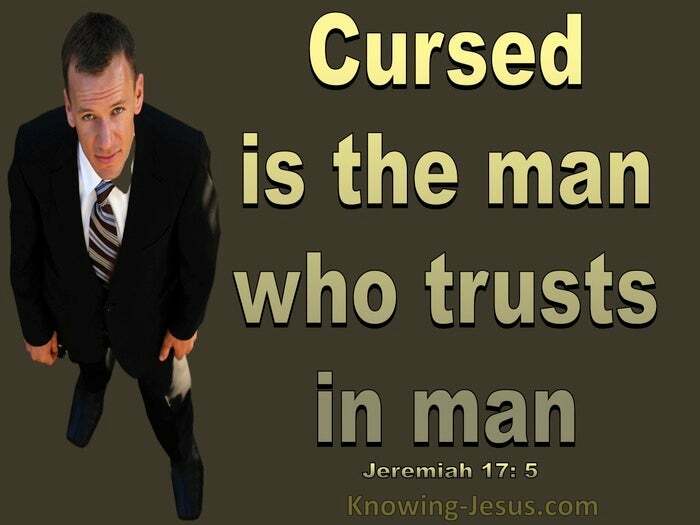 Cursed is the man who places his trust in mankind, was Jeremiah's stark warning to the people of Israel. Cursed is the man who relies on his own strength, rather that the power of the Lord, he continued. Cursed is the man whose heart turns away from the Lord, his God, was the pleading cry from this grieving prophet, who knew that terrible disaster would fall upon the nation, who turned away from the Lord their God. When unregenerate man falls into the hands of an angry God, it is a terrible thing.. but when it is the people of God, who choose to make alliances with unregenerate nations, instead of trusting in the God of their salvation, Who bought them with His precious blood - it is indeed, a shocking indictment. It is easy to look with distain on the apostasy of Israel, as described by Jeremiah.. or to criticise those in Christendom who stray from the path of righteousness. But should we not first examine our own Christian walk, and consider where we have placed our trust.. and on whom we have anchored our hope. Do we trust in the works of man or place our faith in the strength of fleshly achievements? Do we put our confidence in our bank balance, our negotiating skills or our government's provision? 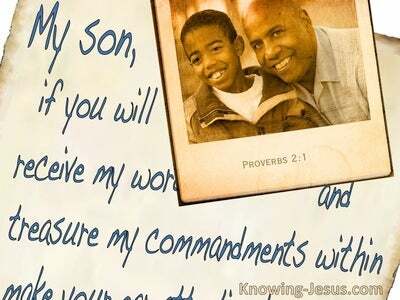 Do we place our hope in our personal abilities, the achievements of man, the works of the flesh or ungodly alliances? 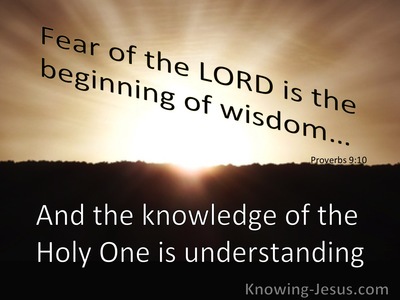 OR, do we trust in the Lord our God with all our heart and place our hope in His unfailing love and promised provision? 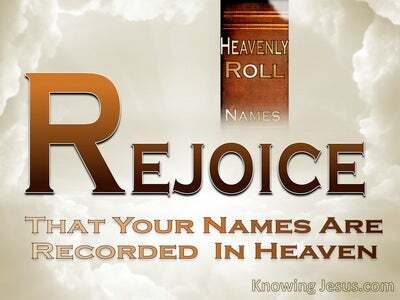 Heavenly Father, thank You that You are a God Who never changes. Thank You that Your love and grace is the same yesterday, today and forever. Forgive me for the times that I have wandered far away from You, and drunk from the broken cisterns of this world. May I never place my trust in man, nor put my confidence in my own abilities by depending works of the flesh, or trusting in my own strength. Let me not be enticed from Your word of truth, and help me to keep the eyes of my heart, and the meditation of my mind, on the Lord Jesus, I pray - for He alone is worthy. This I ask in Jesus name, AMEN.